We would like to send a huge THANK YOU, to all involved in helping us celebrate GA Pre-K Week 2015. We had some very special guests throughout the week. 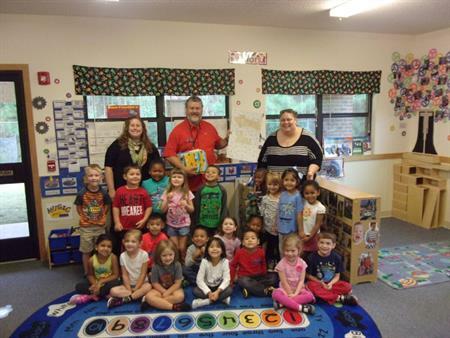 We kicked off the week with State Representative Emory Dunahoo, reading to our Pre-K class. We also had Oakwood Police Department and the Hall County Fire Services out, and as always the kids loved it.